Every single month, Cult Beauty have a different brand as their ‘Brand of the Month‘ where they focus on one particular brand for the whole month. 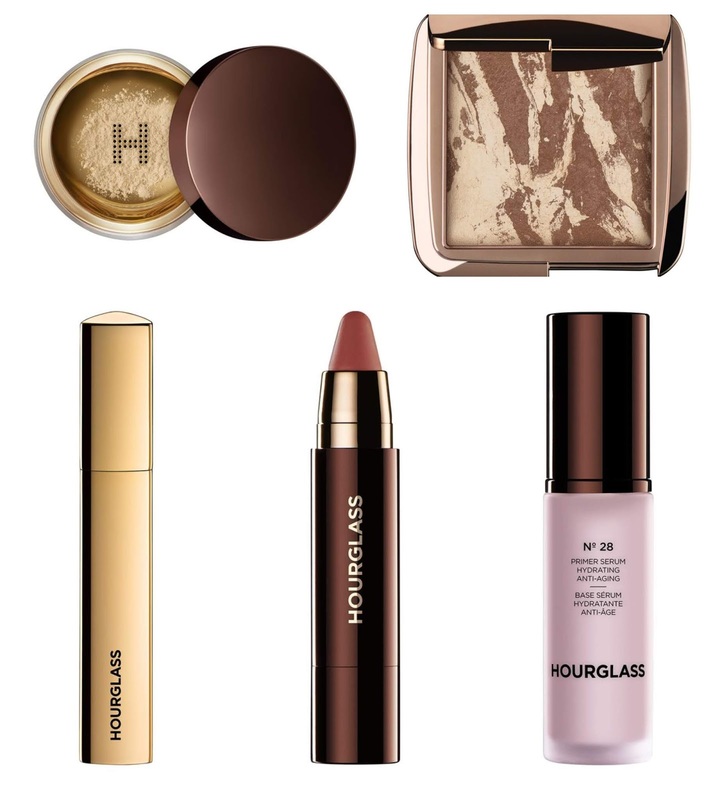 For the month of August, Cult Beauty is focusing on Hourglass. Cult Beauty says that Hourglass is worshipped for incandescent powders, butter-soft blushers and a game-changing range of complexion perfectors, Hourglass combines science, luxury and beauty to create the most magnificent makeup. Blending ground-breaking active ingredients with innovative technology, the products make for surreal skin – and the sleek, chic packaging. It might surprise you to learn that as a Beauty Blogger there is a whole list of brands I have not yet tried - Tarte, Glossier, Chantecallie and Hourglass. That isn't to say I don't hanker after the products and don't want to try them, I absolutely do and for Hourglass, this is my wishlist. Girl Lip Stylo (£26) - With its vibrant colour pay off and lipstick, it features a rich, nourishing blend of shea butter, jojoba, mimosa and sunflower seed oils to replenish moisture and minimise dryness for a silky, soft and plumped finish. There is over 20 shades to choose from and ive got my eye on Activist, Inventor and Seeker! Caution Extreme Lash Mascara (£12) - I am a bit of a mascara fiend and given this is just £12 there is no chance I am not going to be buying this. Described as being the Mascara which gives enviable length, extreme volume and eye-opening definition for your most explosive lash look ever. It is infused with moisturising panthenol, the formula conditions the lashes in order to leave them soft and non-stiff. No.28 Primer Serum (£24 travel size) - Now Gemma from Gemmaetc made me really want to try this Primer from her post HERE. Described as being a primer and serum in one, it is infused with 28 beneficial ingredients which are made up of 14 essential oils (including rose, lavender and lemon), 10 lipid-rich plant oils to hydrate skin’s deeper layers (including hazelnut and rose hip) and four nourishing vitamins to condition the complexion (A, B5, C and E). Coming together they all work to nourish skin and prepare it perfectly for make up application. Ambient Lighting Bronzer (£45) - I am definitely more of a bronzer girl than a blusher girl and there is something about the Hourglass bronzers which have that wow factor. I adore the look of Luminous Bronzer light which is described as being ideal for fair, light complexions, which is most definitely me. Said to have buildable bronze pigments, the bronzer is also enhanced with ‘Photoluminescent Technology’ to maintain vibrancy, depth and dimension. Veil Translucent Setting Powder (£14 travel size) - Suitable for all skin tones, this finely milled and weightless, this flawless powder features soft-focus light-reflecting particles, which instantly blur imperfections and minimise the appearance of pores, fine lines and wrinkles. I love the look of the innovative signature Hourglass sifter which is said to ensure you can use this mess-free powder anywhere. I would love to know what your favourite Hourglass products are and what you feel I need in my life! I love the blushes! I really want to get my hands on the bronzer though it is so so beautiful! I need to try everything from them!! I love that they do travel sizes. I've only ever tried their Veil Setting Powder and it's fabulous.